Yesterday, sweet Linda shared an outfit she would wear if she were attending my wedding (adorable outfit, by the way, no?). 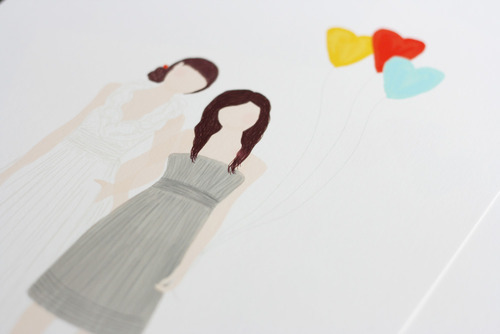 I also mentioned that she actually did have a small part in said wedding, and I would love to share it with you today! You see, Linda happens to be a super talented artist. Besides posting her daily outfits and illustrations over at Little Tin Soldier, she also runs a cute little etsy shop- Though Very Humble, where she sells custom illustrations. (seriously - check it out. Too cute). 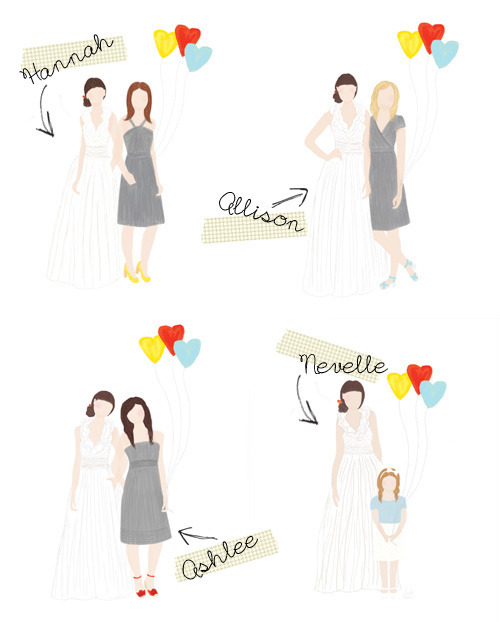 So I asked Linda to do portraits of myself with each of my bridesmaids (and flower girl) as gifts to all of them. And I could not be any happier with the way they came out. Seriously, how amazing are these?! 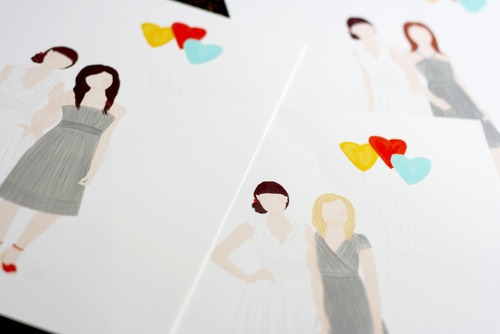 I framed them, wrapped them up all pretty, and gave them to my girls at our rehearsal dinner. And you know what? They loved them too. I mean, how could they not? Seriously. Seriously. So go check out Though Very Humble and all of it’s adorable-ness. I promise you, you won’t be disappointed.